Everyone loves a wedding. From the finger food to the in-law’s cringe-worthy dance moves, there’s something for everyone to enjoy. As well as having an amazing day yourself, you want to make sure your guests have a great time too, and this may seem difficult to achieve if any of your wedding party require increased accessibility. 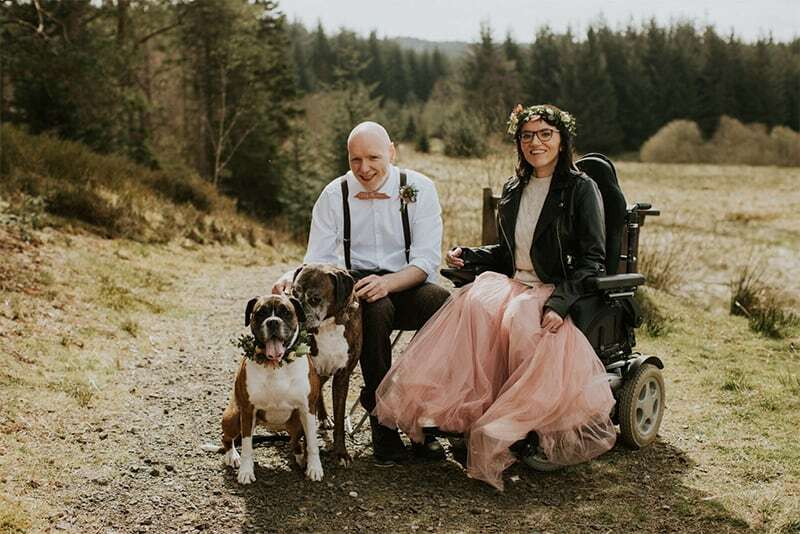 That’s why the lovely people at Ability Superstore are sharing their knowledge of mobility aids and accessibility, to help you plan the perfect accessible wedding. Whether you require increased accessibility for yourself, or for others attending the big day, it’s important to consider what you can do to guarantee a care-free and inclusive wedding day. So here are 5 (hopefully) helpful tips that will help you achieve just that! Everyone has dreams of their perfect wedding, some of which are much more unique and out there than others. You could have dreamt of getting the perfect wedding photo at the top of Mount Kilimanjaro for years, but it may not be the most practical option for you or your guests, especially when accessibility is a particularly important requirement. Not to worry though, as there are plenty of alternatives that can help you to achieve a unique and ‘outdoorsy’ feel for your wedding day. Take marquees for example. They can be positioned in a beautiful outdoor setting of your choice. Not only that, but your marquee can be fitted with hard flooring and ramps to enable easy access for those with wheelchairs or reduced mobility. If marquees aren’t your thing, most modern locations are fitted with ramps and stairlifts. Or if you want to go for a traditional church or castle, these fixtures can often be added to make your wedding more accessible. So if you’re thinking about giving up your dream location because of its limited accessibility, don’t! It’s worth asking around to see what your options are first. There won’t be a dry eye in the house when it’s time for the ‘I do’s’, but first they need to be heard. If you’re considering a large venue, or if any of your wedding guests are hard of hearing, it may be worth considering using microphones or a loop system for hearing aids. This will be better achieved by identifying your guests needs before the event, so that those who require hearing assistance can be accommodated for well in advance. Now to address the daunting task of choosing a wedding dress. Veil or no veil? Train or no train? Short dress or long? The list of combinations is endless. This may be even more challenging if you are a bride who requires a wheelchair or other mobility aid. But never fear! There are plenty of specialist designers out there that can create beautiful dresses to accommodate for your specific needs, all whist making you look as radiant as ever. Another important aspect of the big day is the atmosphere. This is especially significant if you have any guests who are blind or visually impaired. Although they may have difficulty seeing everything that’s going on, having a lively atmosphere may help your visually impaired guests feel more included. Lots of music, dancing, and drinks are always a great way to achieve this. Also, having braille invitations, table settings and menus may help make the day that little bit more accessible and would undoubtedly be appreciated by those that need it. Lastly, if there are any guests with mental disabilities that will be attending your wedding, it’s important to be mindful of their needs. A quiet space away from the hustle and bustle of the main event may be beneficial for those with conditions such as autism to take a breather, as all the excitement can sometimes become overwhelming. Planning a wedding can often get a little stressful and making it accessible to suits everyone’s needs, can add even more of a challenge. Hopefully, these tips help to relieve some of the pressures associated with wedding planning and make it that little bit easier to plan the perfect day!